RX7 HID Kit 93-97 at the best prices. We carry RX7 HID Kit 93-97 instock ready to ship. RX7 HID Kit 93-97 are custom for your vehicle. Looking for a fast, affordable and quality upgrade for your Mazda RX-7 car? 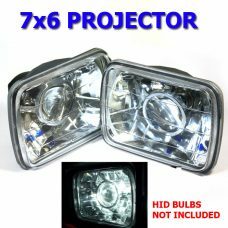 Check out our offer of Xenon HID Kits and improve your vehicle’s lighting system with the latest technology available! These HID kits are custom made for your RX-7, manufactured and tested by world’s top specialists so they meet your specific requirements. Installing is easy: just remove the car’s hood, take out the old standard factory headlight bulbs and replace them with the xenon HID kit. Your car will look better and prove to be more efficient and reliable than ever, all this for the very best prices on the market!